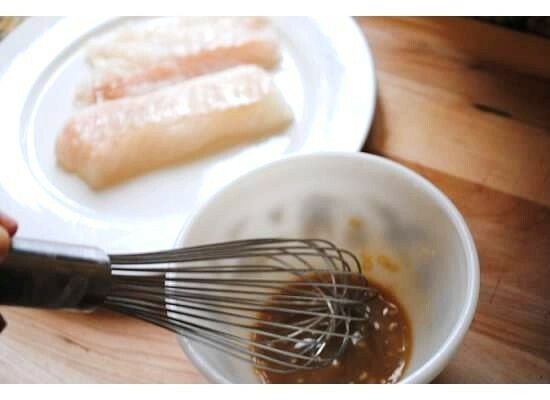 Make your own marinade (dijon mustard, lemon juice, Worcestershire sauce, garlic). See recipe for measurements and then whisk together. 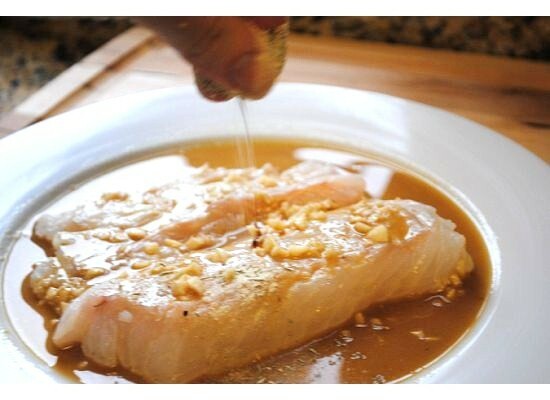 Place marinade on top of fish and sprinkle with your seasoning of choice. I chose sea salt, black pepper and Old Bay seasoning. 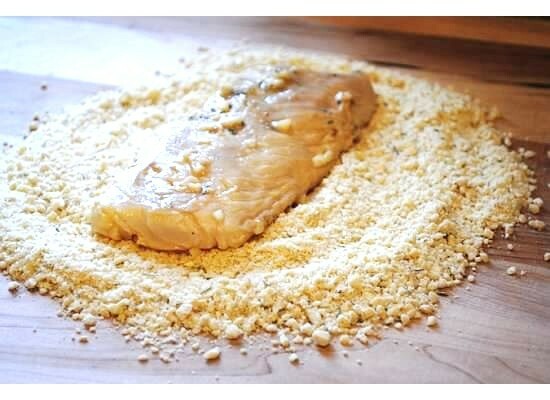 After the fish has marinaded for 45 minutes, coat in finely chopped raw cashews. Place in oven for 20-25 minutes. 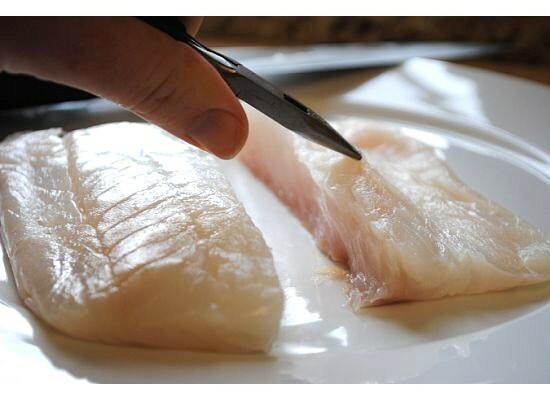 As the fish is cooking, begin chopping/slicing your vegetables. 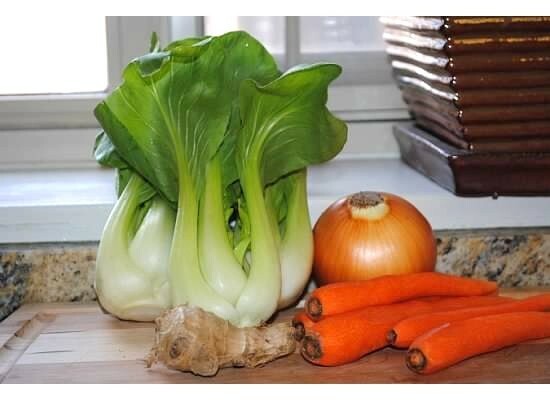 I used baby bok choy, onion, carrots and ginger for flavor. 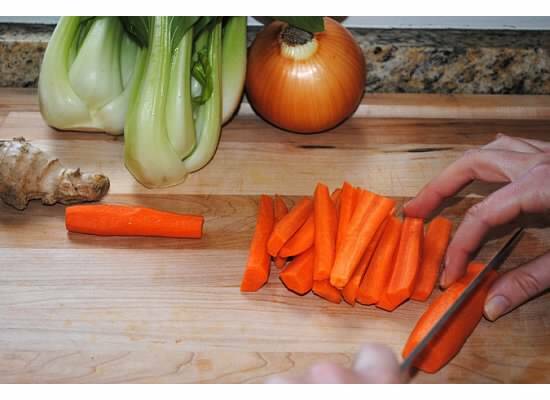 Cut the carrots in half length wise and width wise. They should look like the below. 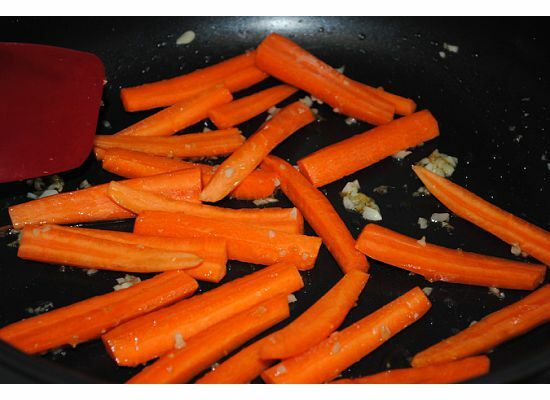 Begin sauteing the carrots and ginger in a heated pan with water. Note- when you saute with olive oil to cook vegetables, it removes a lot of the nutrients, therefore saute using water then coat the vegetables in olive oil after they have cooked for flavor. 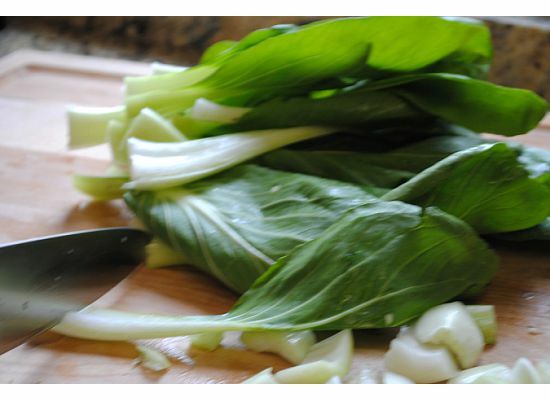 Trim the baby bok choy and cut width wise in half. Slice the onion. 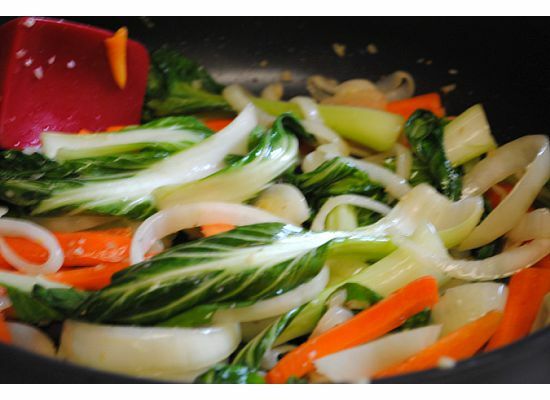 Bring the onion and baby bok choy to the saute pan and cook for 10-12 minutes until all vegetables are tender. 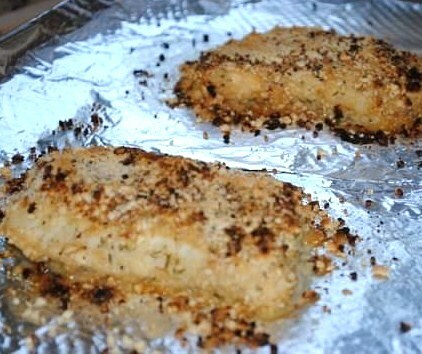 Remove fish from oven once it is nice and crusty. Plate vegetables and fish. 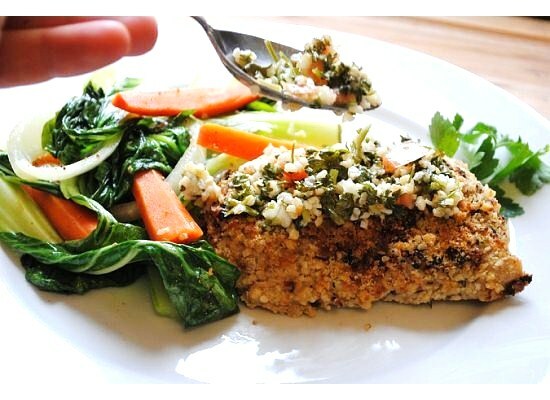 Then using good quality store bought (don’t hate) Taboule place on top of fish. I used the brand Yorgo, which combines fresh finely chopped parsley, garden tomatoes, onions, fresh squeezed lemon juice, virgin olive oil, natural herbs and specially blended spices with a hint of natural sea salt. 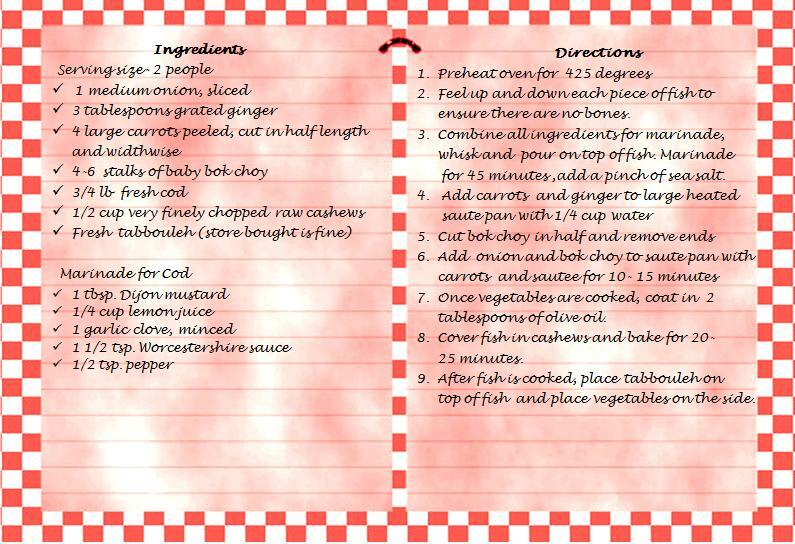 Spare yourself the time and buy this Taboule instead of making it yourself. 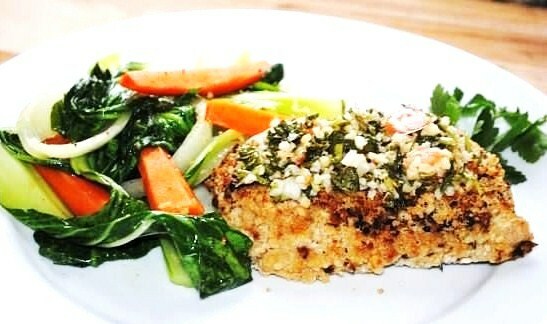 It tastes great and made with fresh organic ingredients. And it took only 35-40 minutes to make! 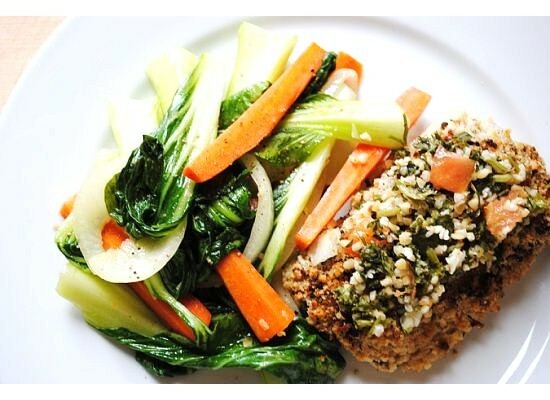 Enjoy this lovely light recipe!